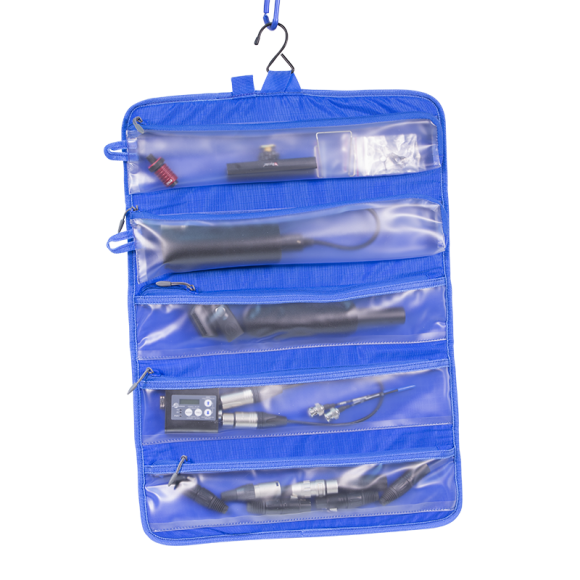 Orca Audio Mixer Bag - OR-32 with free OR-19 Organiser! The Orca 32 is a medium sized bag suitable for a Sound Devices 664 with or without CL-6 and other popular mixers and recorders. For more detail take a look at the compatibility chart below. 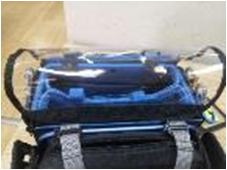 It is the first audio bag in the world to incorporate a durable external aluminium frame, an internal honeycomb frame, and layers of foam and EVA. “ORCA Lift” enables you to raise your recorder to the ideal position. Clear TPU Top for easy viewing. Two giant pockets for storing accessories. Can be connected to the Orca Or-40 Harness. Inside lining made from bright blue brushed polyester.